Last April, we were delighted to have Jim Cronin here at An Gáirdín for a very interesting and enjoyable talk and discussion about different aspects of organic growing. 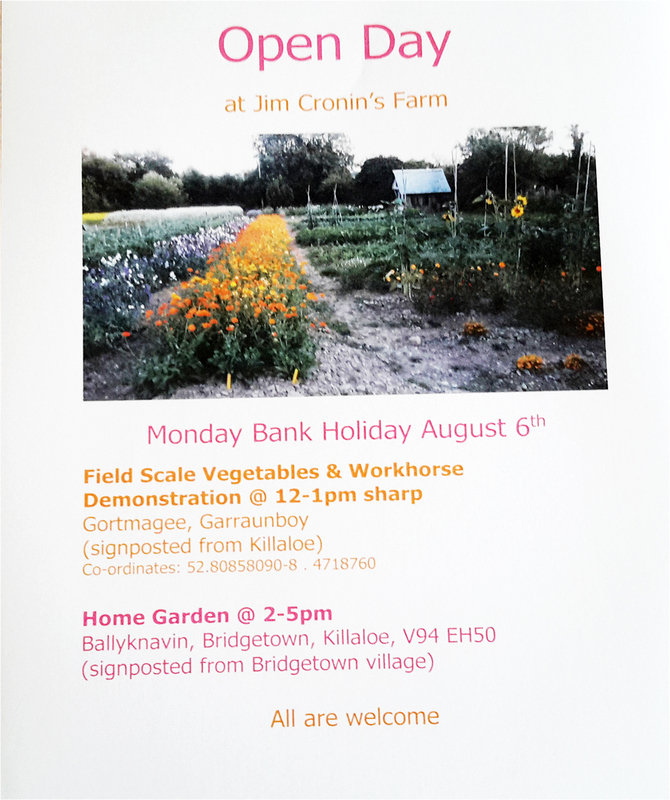 This post is to let you know that on this coming bank holiday Monday, August 6th, Jim is hosting an open day at his farm in Bridgetown and all are welcome. The open home garden is from 2-5 at Ballyknavin, Bridgetown, Killaloe (V94 EH50). The venue is signposted from Bridgetown village. This entry was posted in Uncategorized on August 1, 2018 by Admin.